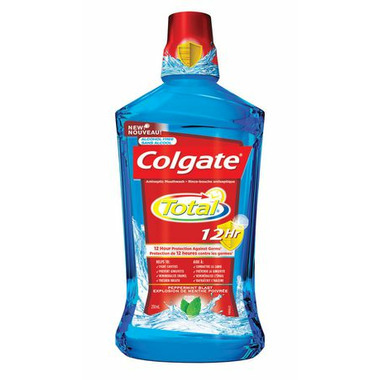 Colgate Total Mouthwash improves oral health by preventing and reducing plaque and gingivitis. Also helps fight cavities and remineralize enamel. Freshens breath and provides 12-hour protection against germs that cause bad breath, plaque and gingivitis. Even after eating and drinking!